With J.J. Abrams abandoning ship in order to join the Star Wars extravaganza, Star Trek needed a new director. Enter Justin Lin, whose filmography is basically four Fast & Furious movies. That’s it, nothing much else besides TV & some shorts, which is reason for serious concern. After thoroughly enjoying the first two in the series (Star Trek, Star Trek Into Darkness), I was extremely worried that the wheels would fall off the bus with a new driver at the helm. Especially since that driver was inexperienced in many ways, showed a penchant for bad action, and had some big shoes to fill. But let’s give credit where credit is due; Lin did exactly what I would have recommended and the result was a success. He let the actors & the story speak for themselves, he followed the same recipe that proved pleasing twice before, and he rode the wave all the way to shore without falling off once. After multiple dangerous missions have solidified the crew and have created an impressive reputation for the USS Enterprise, Kirk & his team set out into deep space to chart the uncharted, to boldly go, to discover new planets; you know the drill. But that’s also a problem; time in space births loneliness and repetition, leading Kirk to wonder if his time as Captain should come to an end. Before any decisions can be made though, a rescue mission must be completed. A ship has been lost in a nebula, and so the Enterprise goes out looking. But what they find is something completely unexpected. A villain named Krall has captured the ship along with many others, and is preparing to use his unstoppable army to attack the United Federation of Planets itself. Can Kirk & his crew defeat this madman, or will the galaxy fall to an unbelievably dominant & deadly power? 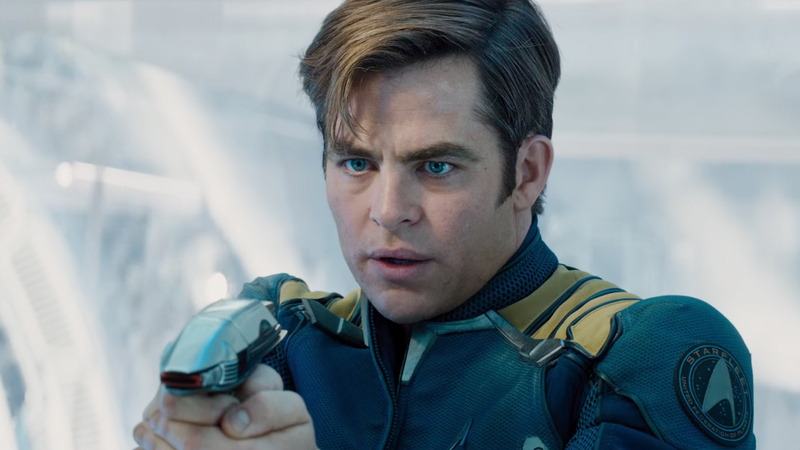 If you’ve seen the first two you’ve seen Star Trek Beyond, but I don’t mean that in a negative way in the least, since what I was expecting from the third & its new director was something completely different and marginally worse. What I got, and what fans of the series will get, is a standard set of events that we would probably find entertaining no matter how many times we see them. The Enterprise is on a journey, gets into trouble, there’s a madman on the loose, Kirk loves his crew, everyone bands together, problems are solved, and the galaxy is saved. Sounds fun, is fun, so if you’re looking for more of what you’ve already seen then you’ve come to the right place. Perhaps the usual energy isn’t quite matched, perhaps the story is a bit more hand-to-hand action-packed, but basically Lin keeps the ball rolling in one direction and remembers not to let his ego mess anything up. Pine & Quinto as Kirk & Spock will always be the focal point of these films, their relationship is the most compelling. Bones & Uhura enter into the fray every once in a while, with Urban & Saldana doing commendable jobs. I was disappointed with the lack of Sulu & Chekov in this film, especially given the untimely death of Anton Yelchin, a great young actor who we will sorely miss. I would have loved to see more of him, especially without the clunky character attribute that was added in, that Chekov is a lady’s man. The villain here is none other than Idris Elba, as hot a ticket as you can buy right now, and he does a solid job as a prosthetic-covered alien. 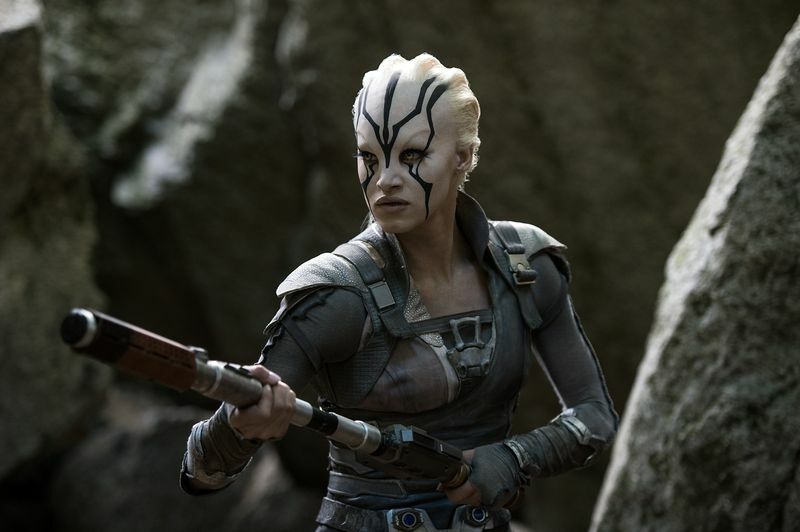 Speaking of, Sofia Boutella as Jaylah is also strong, and adds a little comedy & heart to the script that was useful. 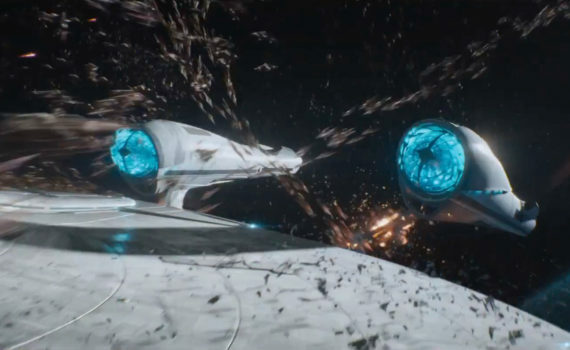 Great action as always, cool effects, an excellent sci-fi homage to a franchise we love; Star Trek Beyond delivers, let’s see what this team does next.